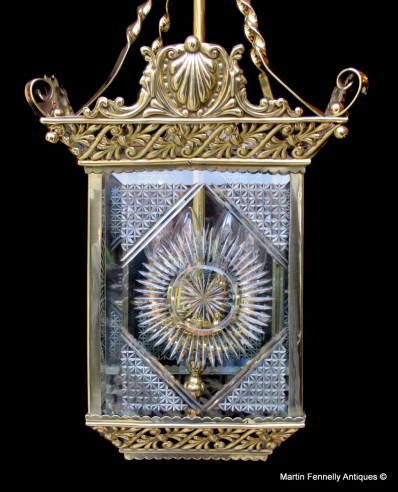 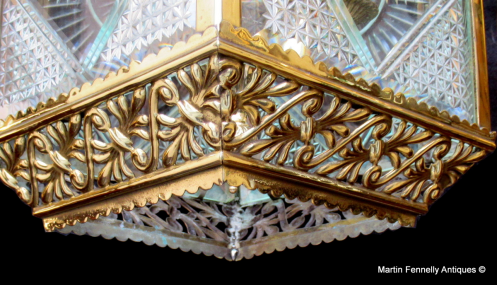 This is a superb Victorian Brass and Crystal Lantern dating to Circa 1880. 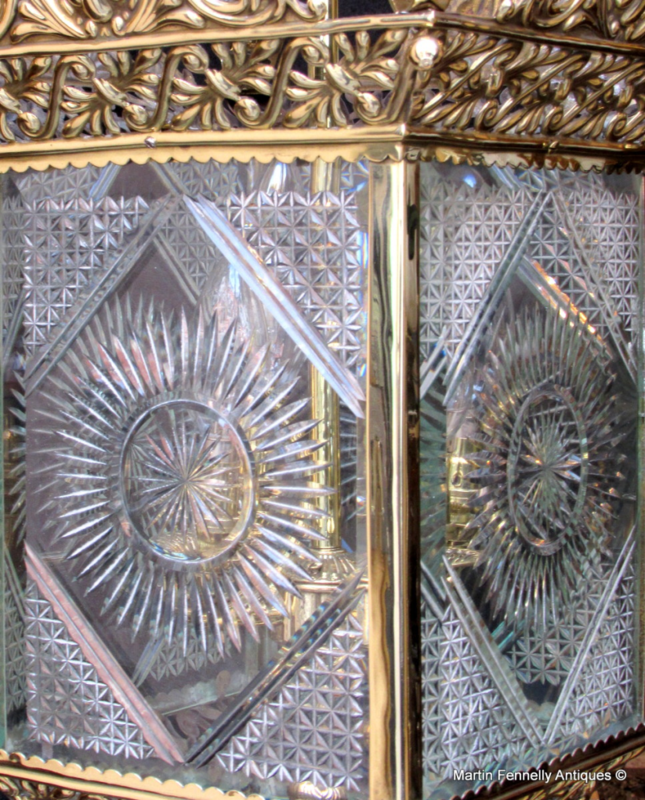 It is quadrilateral in shape and has wonderful brass detail to the top and base. The Brass is in great condition and encloses 4 heavy cut crystal panels with etched starburst design. 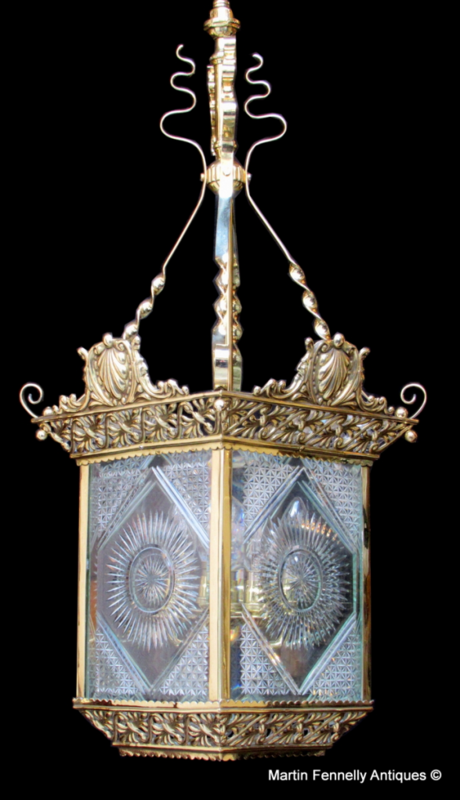 This lantern is a stunning light, wonderfully polished, restored beautifully, housing four bulbs and politely electrified. It was described by an owner (member of IADA) of one of the other Antique stores on Francis Street as the nicest Lantern currently for sale in Ireland.